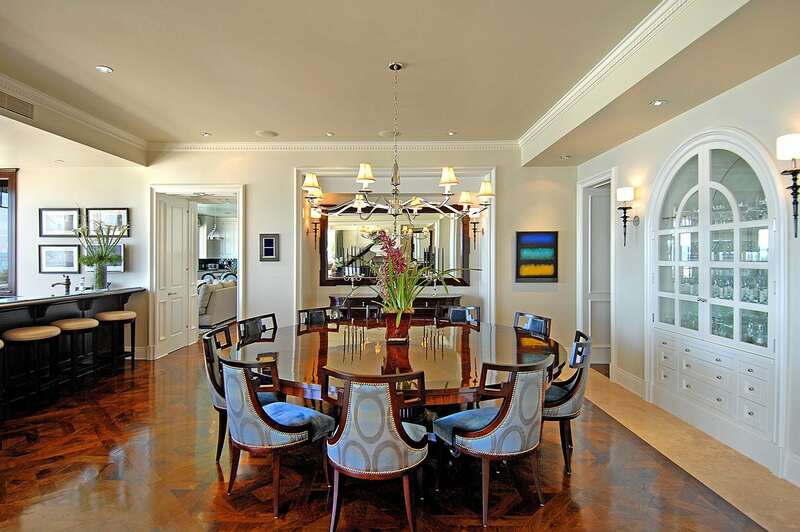 This elegant beach front residence is a one of a kind masterpiece. Expertly crafted down to the last exquisite detail, this beautifully appointed property is located on prestigious Carbon Beach with exceptional ocean frontage and direct beach access. 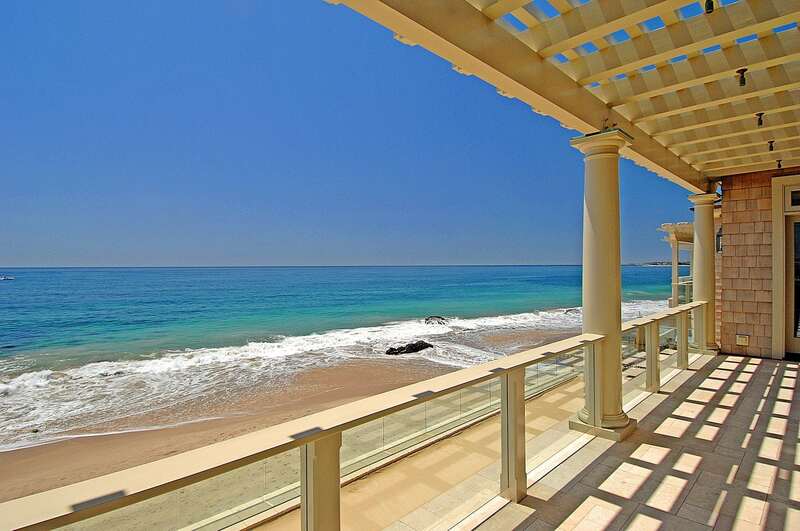 Situated on a prime stretch of gorgeous California Coast, you will enjoy all that comes with this refined Malibu beachfront lifestyle; radiant sunsets, sea breezes, and afternoons entertaining in style with friends and family. Take advantage of the privacy afforded by this prime location in the most secluded section of the beach, at the farthest distance from public access. 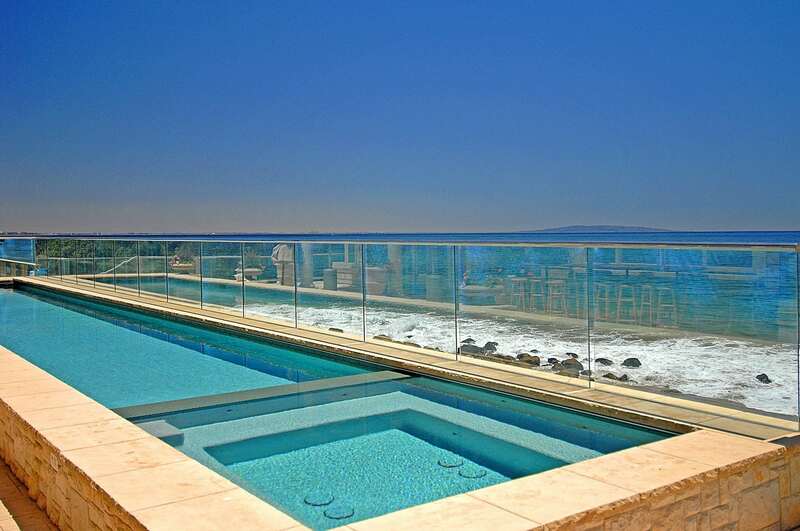 Marvel at spectacular ocean views from the moment you set foot in the elegant foyer. The spacious living room and open dining area overlook the expansive deck and over sized lap pool with large picture windows to display perfect ocean views. The enormous wet bar is ideal for entertaining and flows to the gourmet kitchen with top of the line appliances, grand fireplace, cozy family room, eat in area, and large center island. There are five voluminous en suite bedrooms upstairs including the magnificent master suite. Four bedrooms are located off the central family room/ den, each with soaring ceilings, tons of light, fantastic closet space, and designer baths. The exclusive master retreat is a private oasis with cozy sitting area, two grand fireplaces, and two sets of double doors opening to the spectacular private balcony. Let the sound of waves crashing on the beach below lull you to sleep in this ocean sanctuary. In addition, indulge in the ultra luxurious dual master baths and walk-in closets with custom built-ins and quality designer touches. There are so many special features, quality materials, and details throughout this thoughtfully designed home. Enjoy the state of the art home theater, aquarium, skylights, wine cellar, 2 offices, fitness room, maid’s quarters, direct garage access, an abundance of parking when hosting large gatherings, tons of storage space, grassy yard, lap pool, bbq area, direct beach access, and so much more. Soak in the tranquil views and watch as waves crash into the beach below. You will not find a setting as tranquil, dramatic, and stunningly beautiful. This private residence is unsurpassed and would be impossible to recreate today! Interested in 21808 Pacific Coast Hwy?